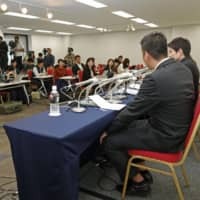 A man who suffered severe burns after having his head shoved into a pot of boiling liquid at a year-end party in 2015 said Thursday that he plans to sue his former boss over the incident. 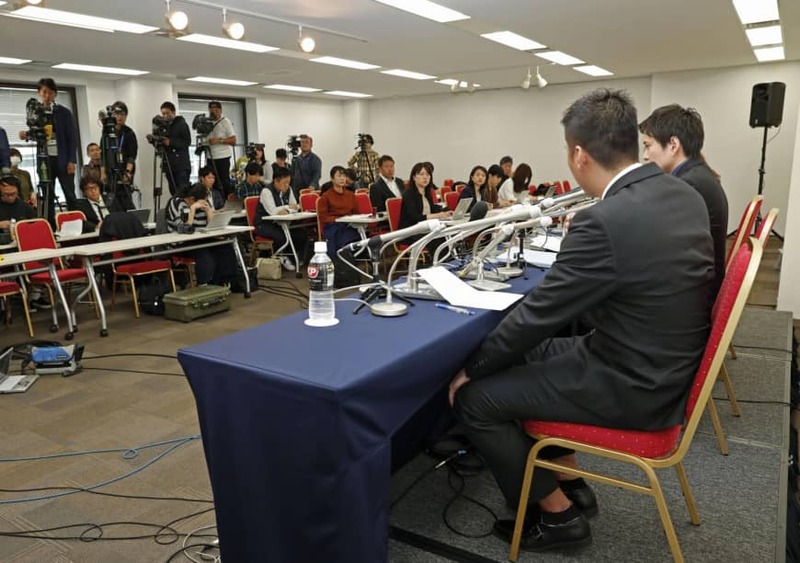 The 23-year-old man, who declined to be named, and his lawyer told a news conference that he will file a criminal complaint with police for assault by the president of the entertainment agency he used to work for and file suit at the Tokyo District Court. The president of the agency was not named, but the agency was identified by an informed source to be MELM, based in Tokyo’s Shibuya Ward. The case came to light after a video of the incident was made available recently to the weekly magazine Shukan Shincho, which posted it on its website. It has since gone viral on YouTube. The video shows the man having his head pushed and held down twice in a boiling shabu shabu hot pot dish during the party on Dec. 20, 2015, leaving him with burns that required about a month to heal. There were about 10 people at the party, including the agency’s business partners. One of the attendees took the video on a mobile phone. It was not immediately clear why the victim has waited three years to file charges. “When I see a hot pot, it reminds me of that time and it is painful,” the man said, adding he wants the president to admit to the act and atone for it.